Preservation Treatments (Surrey) Ltd was established in 1972 and have years of experience in providing Basement Waterproofing in Bracknell. If you are in Bracknell and are considering a basement conversion or require any structural waterproofing then call us on 0800 1422 513 to arrange a survey. We are contractors for all the major suppliers, including Delta, Natural Cement, Safeguard (Vandex and Oldroyd), Wykamol and Sika. We can help to transform your cellar or basement from a damp, musty dead space into a beautiful addition to your home or office, adding value to your property. Waterproofing underground structures, such as basements & cellars, is becoming more popular as moving may not be affordable or convenient. Converting a damp basement or cellar can be a surprisingly inexpensive way of increasing the living or storage space of the property. Our CSSW trained Surveyors (Certified Surveyor in Structural Waterproofing) will assist in designing an effective structural waterproofing system to the guidelines contained within BS8102:2009, (the code of practice for the protection of below ground structures against water from the ground). We believe our depth and range of knowledge coupled with our dedication to providing high levels of customer service are the cornerstones of our continued success. As a result of this dedication many of our earliest clients continue to consult us. Preservation Treatments are an accredited contractor with the Property Care Association (PCA), Constructionline, CHAS, Safecontractor and Trustmark. We maintain standards within the Industry that each professional body has set. In recognition of our high standards, Preservation Treatments was proudly awarded PCA Contractor of the Year Award in 2013. Introduced in 2012, this category was designed to recognise PCA contractor members who excel throughout their normal day-to-day business. It is an achievement we are extremely proud of. For your protection and security all our works are covered by our company guarantees. We are also founder members of the Guarantee Protection Scheme, an independent insured policy that, should you chose to take it up, covers the lifetime of your guarantee. 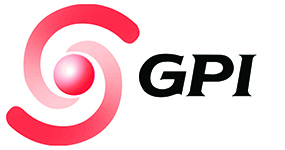 Please see the GPI section of our site for further information. “I would just like to say what a great attitude and work rate Dean is putting in. It’s a challenging job given the age of the building and the wobbly alignment of the walls and I just thought you would like to know my thoughts. Just a quick note to thank Alan and David for all their help. I asked a lot of questions and they were very patient explaining. I would like to pass on my many thanks to your team who have been very professional through the process. In particular, Paul the surveyor was top class. He turned up on time, was very polite & charismatic, and very clearly examined and explained the situation to me for which I was most grateful. © 2019 Preservation Treatments (Surrey) Ltd.